I have two LS3/5a systems. This first one is in daily use in my speciality camera store- Quality Cameras in Burwood Victoria- and has been since we opened over a year ago. 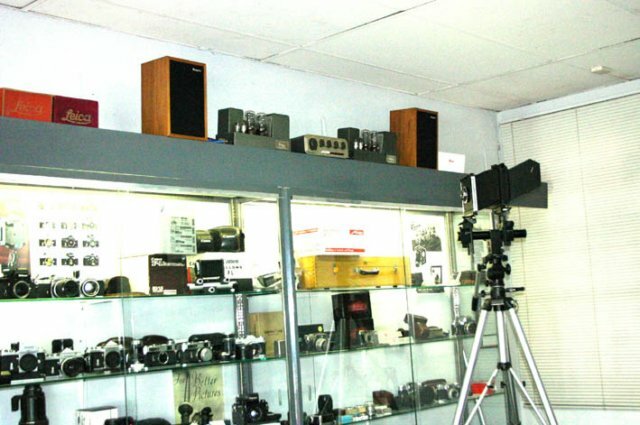 The system suits the decor of the store which specialises in vintage Leica and other collectable cameras. The system is a great conversation starter as many camera enthusiasts are also interested in vintage & hi-end Hi-Fi but never realised I was also until they saw this system in use in our store.